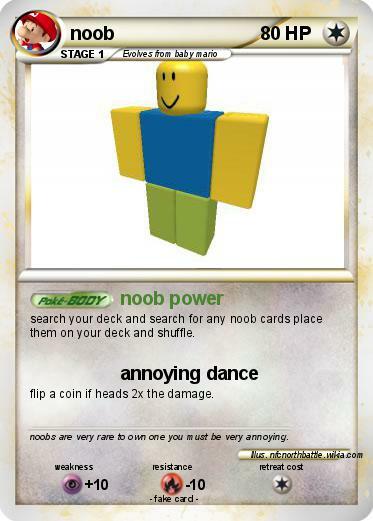 search your deck and search for any noob cards place them on your deck and shuffle. flip a coin if heads 2x the damage. Comments : noobs are very rare to own one you must be very annoying.